For a number of NAIA teams, when the final out was made in last weekend’s games, it signified the end of their school’s season. For the teams who weren’t fortunate enough to tally as many wins as they hoped and qualify for the postseason, there are no more games remaining on their schedule. Likewise, the end of their season is rapidly approaching or has already come to a close for an increasing number of number of NCAA D-II and D-III clubs as well. The end is nigh. For the majority of teams listed in the Top 25 rankings they can reasonably rest assured that they have some more baseball left in their tank. They’ve qualified for conference tournaments and most likely will be playing in their division’s national tournament as well. Along with this week’s update a special look will be made at a trio of teams in each division whose postseason forecast is still a bit cloudy. For each of the three mentioned they’re not worried about their conference tournament; they’ve already reached that mile marker. Instead they’re hoping their final destination will be further into the future with an opportunity to play in regionals, and hopefully in final series. Keep a special eye on these clubs and see if their postseason outcome keeps pace with their high-minded aspirations. Rankings are based on games through Sunday, April 30. CBU has weekly received perpetual consideration for rankings inclusion since the preseason, but for one reason or another has consistently remained on the outside looking in. They’ve accumulated an enviable résumé of wins which includes defeats of Colorado Mesa, Dixie State, Azusa Pacific and Point Loma, however they sport some curious losses as well, namely a recent pair to Holy Names, which has inevitably kept them out. Nevertheless, after their sweep of Hawai?i Hilo last weekend Cal Baptist claims an open spot in the rankings vacated by Central Missouri. As the currently fifth-ranked team from the West Region the Lancers are relatively assured of a spot in the extended postseason and should sleep easy, but a trio of wins over Concordia would certainly seal the deal. With their rotation returning following a second trip to the D-II Championship Series in three years the Eagles were on the shortlist of preseason favorites to make yet another trip to the finals. Despite the optimistic prognostication and a preseason top 15 ranking, USI’s season hasn’t gone accordingly. They started the season with a unScreagle-like 12-14 record, but their fortunes have seen quite the turnaround since early April. The Eagles have gone 17-2 since then which includes an impressive four-game, two shutout sweep of Indianapolis last weekend. USI very well may be the best team in the Midwest, but overcoming their clunky start in the eyes of some pollsters has been a difficult obstacle. USI finishes the regular season with a much-win series against St. Joseph’s College, one which will be emotionally charged as they’re the last home games for the Pumas whose entire school is being shuttered after the season. With a 22-9 overall record and a second place position in the NE-10 Southeast Division the Chargers have postseason credentials, but need a little more oomph to make sure they get to play in the East Region tournament. Their sweep of Le Moyne last week helped their chances considerably, but New Haven could really put the invite in the bag this week with a midweek win over current division standings’ pole sitter Southern Connecticut State combined with a sweep of conference also ran American International. The Chargers have a pair of top shelf starters in Tim Kennedy and David Palmer who could make them very, very dangerous in the postseason as two quick wins in a tournament are a immeasurable advantage. Dropped out: Central Missouri (23). 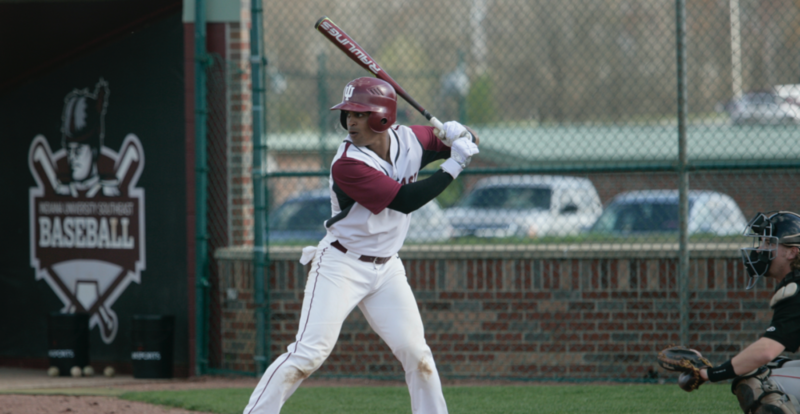 The Patriots looks like a national postseason shoo-in a couple of weeks ago, but after being swept by another bubble team, Campbellsville, their postseason prospects were put into a bit of a pickle. Their ace Noah Gapp suffered a loss and was roughed up for six earned runs in seven innings by an extremely under .500 Shawnee State team which required the Pats to take the next two to earn a spot in the Mid-South Conference Tournament. The Pats took the series, but will still likely need some tournament W’s to earn an invite into the NAIA postseason. They really, really, really could use Gapp to establish his commanding first half of the season form. While his ERA is a still impressive, 2.15, that number has doubled over his last 30 innings on the mound. The Generals are another team riding a second half surge into the postseason. After sweeping LSUS last weekend LSUA claimed their third straight River City Athletic Conference Regular Season Championship, an outcome that didn’t seem likely mid-March following an embarrassing 20-7 mercy-run loss to Texas A&M Texarkana which left them with a respectable yet unremarkable 18-14 record. Their 15-5 record since then typically would make them a postseason lock, but the Generals haven’t been performing in their matchups against ranked opposition. LSUA suffered a four home game sweep to Faulkner (two of which by 10 runs) and another four to William Carey (two of which by at least nine). Had the Generals been able to capture a least one of those games their long-term postseason prospects would be much more optimistic. The Grenadiers and Pioneers recently split a pair of doubleheaders to shed little light on which River States Conference team is superior. Point Park won the regular season conference title, however IU Southeast has better non-conference results with wins over Huntington and Campbellsville. Both schools have all-round ability, which could carry them far in the postseason if they can click on all cylinders. Point Park ranks among the national leaders in batting average and fielding percentage (with a good pitching staff to boot) and the Grenadiers are amongst the leaders in scoring ability with a team fearless and opportunistic on the basepaths. Dropped out: Bryan (19), Huntington (24). Despite starting the season with an unimpressive 8-7 record, Linfield has established themselves as one of the top teams in the western time zone. The Wildcats won both the regular season and NWC tournament titles thanks to a standout statistical performer both on offense and on the mound. Scott Hilpert is leading the team with a .383 batting average and his 12 home runs tie him for third in D-III. Meanwhile on the mound Cason Cunningham has a 1.92 ERA and has struck out 100 batters in 79 2/3 innings while rudely allowing opposition to a measly 40 hits. The Saints are routinely one of the most difficult teams to gauge as they constantly compile an ultra high winning percentage, yet many of the wins come at the expense of their less-than-spectacular Upper Midwest Athletic Conference opposition. St. Scholastica went 15-1 last season in the UMAC and are currently 12-0 with several lopsided wins. Just last Saturday the Saints crumpled Northwestern Minnesota by a combined score of 33-3 in two mercy rule shortened contests. Nevertheless, even if they score half the runs they’re accustomed to going forward, they should have the ability to get earn some wins in the NCAA’s as they’re averaging a robust nine wins per game on the season. The Knights started the season ranked, but like many of the teams listed above, had a irksome start to the spring and looked like a non-contender. Wartburg was once 7-7 but now boasts a 26-10 overall record, going 19-3 since their woeful start to once again top the Iowa Intercollegiate Athletic Conference. Just last week they demonstrated their prowess in a series against Central College, punctuated with a 15-0 thrashing in the finale. The Knights, while not having won a regional as of late, are nonetheless never a pushover in the extended postseason. In their last three appearances they’ve managed a win and could easily earn more if a few balls bounce their way.